The vocabulary of contemporary visual arts and design has expanded significantly during the last two decades. Many contemporary digital artists, multimedia students, teachers, and art critics have abruptly found themselves in a sea of computer terminology and web jargon that have descended from various sources and directions. The terminology overwhelms and misleads an unprepared viewer often. A comprehensive guide to up-to-date computer art tendencies, genres, and categories was greatly needed. This collection of computer artist’s images is intended to be a silver line guide into the frontier of current trends of modern visual art and culture. This gallery exhibits several thousands of well-known digital masters and aspiring enthusiasts, 2D and 3D artists that have recently entered a digital art field. The convenience of the desktop wallpaper size images makes the artworks workstation useful. Famous computer genres such as fantasy art, SF since fiction, abstract, landscape, etc. presented in a wide spectrum of digital media. Even though, fantasy art, science fiction, and surreal art themes images prevail in our gallery we do not bound our online gallery to surrealism or fantasy art only. Photography, vector and pixel arts are all here. Below are some modern art genres in the form of computer desktop wallpaper that we proudly present. Fantasy art as it is defined by Wikipedia is a contemporary version of the fantastic genre of the previous centuries. However, it is not exactly correct. Everything lies in the defining of the word fantasy. From the one hand, all artistic creations could fall under the term fantasy as long as they require some creativity, from the other hand, only pieces related to certain imaginary worlds could make the claim. The problem lies in the extremely broad definition of the word fantasy. If one considers fantasy as a genre of fiction, it gets even more confusing when one tries applying it to fine-art. The fantasy fiction is a genre of story-telling about imaginary worlds of magic and mysticism. Academics and thinkers tell us that imaginary dreaming has positive influences — providing 'small regressions and compensatory wish fulfilments which are recuperative in effect'. In phycology, fantasy covers literally all senses, the conscious and unconscious ones. Even though the unconscious sense spells differently, phantasy, it does not really help, or does it? If you are a serious creative artist with a strong commitment to your art, we would like to see your artwork images. There is no charge for inclusion in our exhibits. Our objective is familiarizing general public with contemporary digital arts, and providing direct access to pictures & web sitesof respective creative individuals. 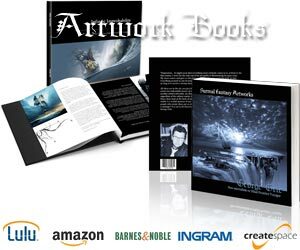 Fantasyartdesign.com is an internet nonprofit educational project. Our visual gallery has no agenda except the promotion of modern computer artwork. It is free to the viewing public and contributing artists. It does no solicitation or promotional mailing. Content: 3D art images, fantasy art gallery, graphic design 3d wallpaper, digital artwork 2d 3d pictures, free desktop backgrounds images, digital art 3D wallpapers. Sponsored advertising has made this initiative possible. → ← The reason we selected desktop wallpaper format for our gallery is very simple. Desktop pictures or computer backgrounds, how some of us call them is the most reliable and quick way to bring artworks to the viewer. Graphical user interface is the place that many of us see every day of the week. Our mobile communication device as well as our work or home computer screen is the entrance to the virtual world, so to speak. Therefore, we like to decorate it as much as possible. So, instead of mindless images of cats, dogs and other cuties we offer to you the best contemporary imagery of the most prolific digital artists today. The variety of images that our gallery has might be suitable to anybody’s fancy. From heroic fantasies to horror scenes, from sci-fi fiction to abstract formations, it is all here. Microsoft Windows Vista, Mac OS X, any computer platforms will do.